Every man should have a stylish check shirt in their wardrobes, they are incredibly versatile and perfect for everyday casual looks, nights on the town or even holidays too! 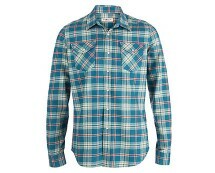 This design by Wyoming features soft cotton that is a breathable fabric offering a relaxed comfy vibe to your style. 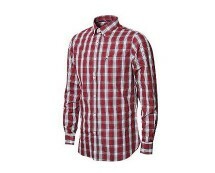 The checked design is charming, cool and laid back and will team nicely with almost anything! Other features include double breasted pockets with press-stud button fastening, buttoned cuffs allowing them to be rolled up if you wish and a button up to the collar front. 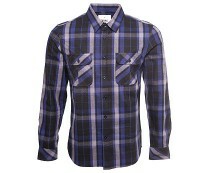 We love how the curved hem allows this shirt to be worn stylishly over jeans. Team this shirt with regular or straight leg jeans and shoes for a smart casual style suitable for nights out and try buttoning right up to the collar for statement style! Otherwise roll up the sleeves and pop on a pair of chinos and pumps for an ultimate edgy vibe!